Dosage: Swallow the correct number of tablets whole with a drink of water. Adults over 18 years of age; Take 2 tablets initially, followed if required, by 1 tablet after every further loose bowel movement. Young adults aged 12 to 18 years; Take 1 tablet initially, followed if required, by 1 tablet after every further loose bowel movement. 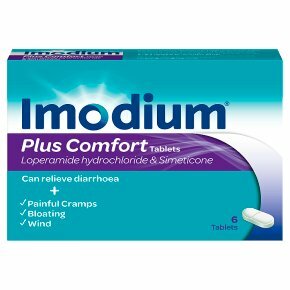 No more than 4 tablets should be taken per day, for a maximum of 2 days. If your diarrhoea lasts for more than 48 hours, contact your doctor. Please read the enclosed leaflet carefully before use. Keep out of sight and reach of children.<br><br>Warning: Do not take more medicine than the label tells you to.<br><br>Not recommended for children under 12 years.